If you have ever visited Pittsburgh, one of the landmark sights is this unique bridge that crosses over Ross Street (Near Forbes Avenue). It is called the "Bridge of Sighs." 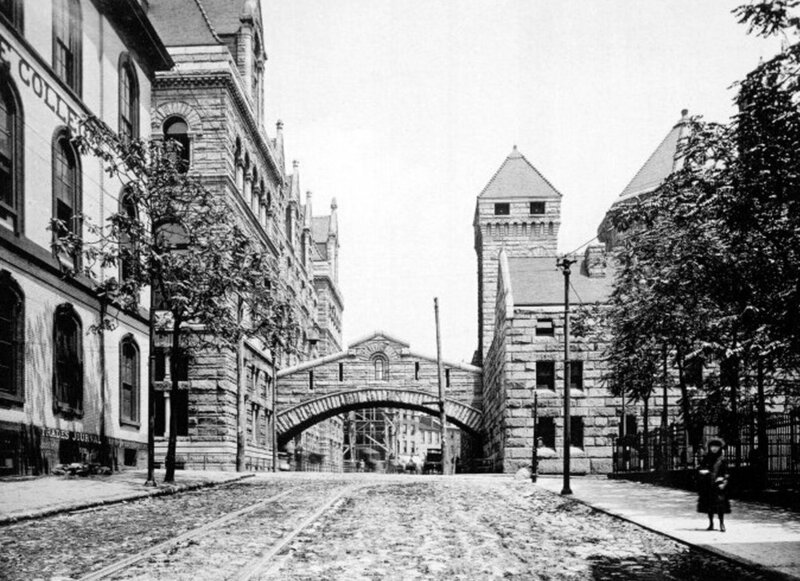 At one time it was a bridge that went from the Allegheny County Courthouse to the Allegheny County Jail (Pittsburgh Prison). 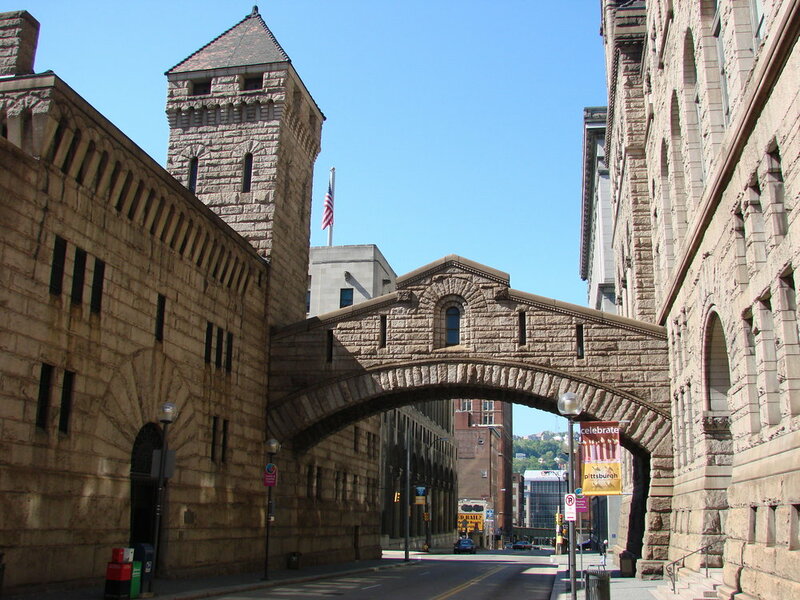 It was called the Bridge of Sighs because it would be the last glimpse of freedom before a convicted person who was just found guilty at the courthouse was then escorted to the confines of the Pittsburgh jail. As the convict took his final walk to jail, he was able to see freedom through the windows one last time. As they peered through the small windows of the bridge many would sigh as they contemplated their fate for the duration of their prison sentence in the dark confines of the Jail. 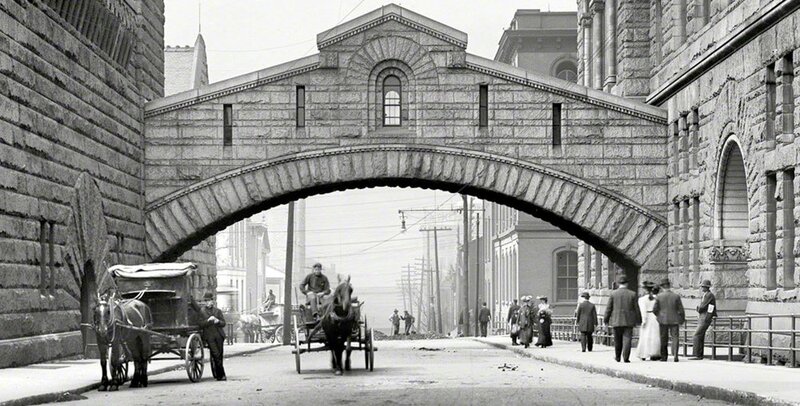 The bridge in Pittsburgh was constructed in 1888 and was designed from a similar bridge in Venice, Italy where the bridge actually went over water that was below in the city streets. The bridge in Venice was called Ponte dei Sospiri (Bridge of Sighs). It was constructed in 1600 and served the same purpose as the bridge in Pittsburgh taking prisoners from the courthouse to the prison. As one thinks about the Bridge of Sighs, it brings to mind some very important biblical principles. First, scripture teaches us that we will all be judged. Believers are technically not judged because Jesus has already taken our judgement on himself and paid our debt (John 5: 22-24). Thus we will be evaluated for our lives as believers. In 2 Corinthians 5: 9-10 Paul instructs us about this evaluation that is called the "Judgement Seat of Christ" also known as the Bema judgement. Here believers will be evaluated on the basis of what they have done with their lives in light of their status as Christ followers. Believers are not condemned, but they are all rewarded differently. It is important to remember as believers that good works are a result of our salvation, not a reason to gain salvation. In light of this, we seek to please Jesus in all we do. Is it your priority to please God in all that you do? As you enter 2019, do not live a life of regret or sighs. Live your life with a specific sense of calling, intentionality, and purpose! Live in light of eternity and seek to please God in all you do! Also make good use of your time to build redemptive bridges with those who are not Christ followers. Don't build bridges based on false motives or foolhardiness. Remember, we are not here to reform people with moral character to become good citizens, but we want to see people redeemed by belief or trust in Christ alone for salvation. When that happens they will have a brand new citizenship in Heaven! This unique bridge in Pittsburgh should be a constant reminder of the fact that we should never live life with a sense of regret or a sigh....but a sense of a high calling, divine intentionality and an eternal purpose. FYI - the top picture was taken in 1903 and the second picture (middle) was taken in 1895. Notice the cobblestone streets and the streetcar tracks! The bottom picture was taken in 2008. In the 1900's sometime after 1903, the street level was lowered to allow larger vehicles clearance under the bridge. The prison was moved from this location in 1995. The Allegheny County Jail was located on the side where the tower exists. Currently, the former Allegheny county Jail now houses the offices of the Allegheny County Family Division.